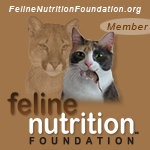 Education Archives | Purrrfectly Holistic...a Boutique for Cats! Purrrfectly Holistic…a Boutique for Cats! I’ve had countless conversations with so many people about their cats and dogs and health issues they are dealing with. One of the questions I always ask is “What do you feed him/her?” The answer I usually get goes something like this: “I feed her ‘X’, which is a great brand and really good food.” And they say it with total conviction! More times than not their beloved brand is one that uses cheap, unhealthy, and species inappropriate ingredients. Probiotics–Does Your Cat Need Them? 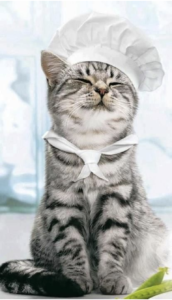 I read an article this week in a pet industry journal concerning how pet parents get innovative with their pets’ diet. Apparently more and more pet parents, especially millennials, are getting smarter about what they feed their pets. And they’re finding ways to make the meals a bit more nutritious. Let’s face it: caring for cats can get expensive, and premium cat food can put a strain on our wallets. Are there ways to improve your cat’s diet on a budget? Yes!